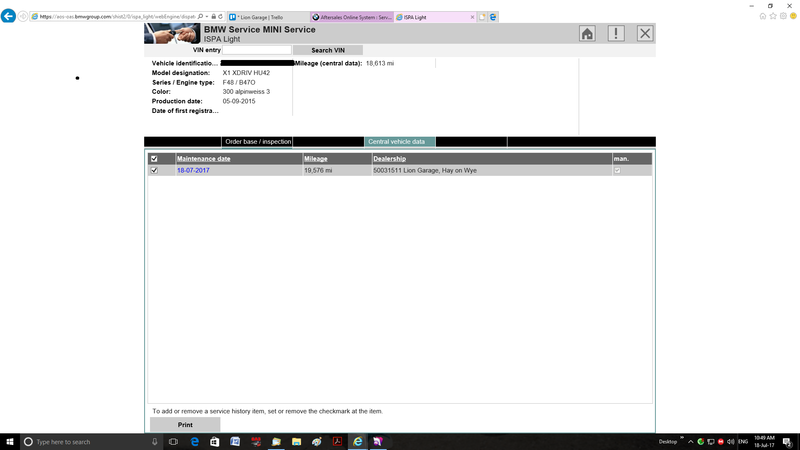 Filling in the BMW digital service record and printable receipt. 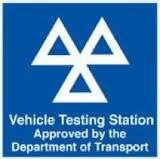 We have full access to genuine BMW diagnostic equipment, workshop data and the BMW digital service record. 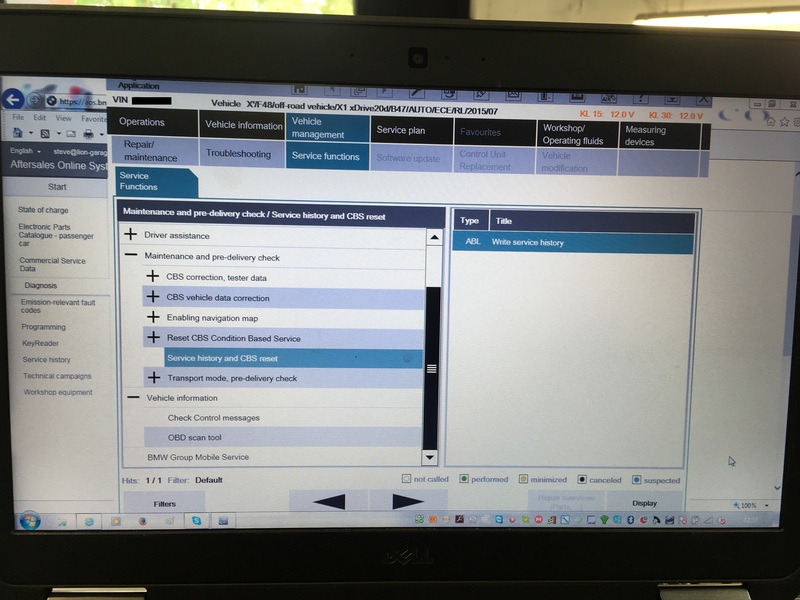 So not only will your car be serviced in line with the manufacturers recommendations, the online service record will also be kept up to date. 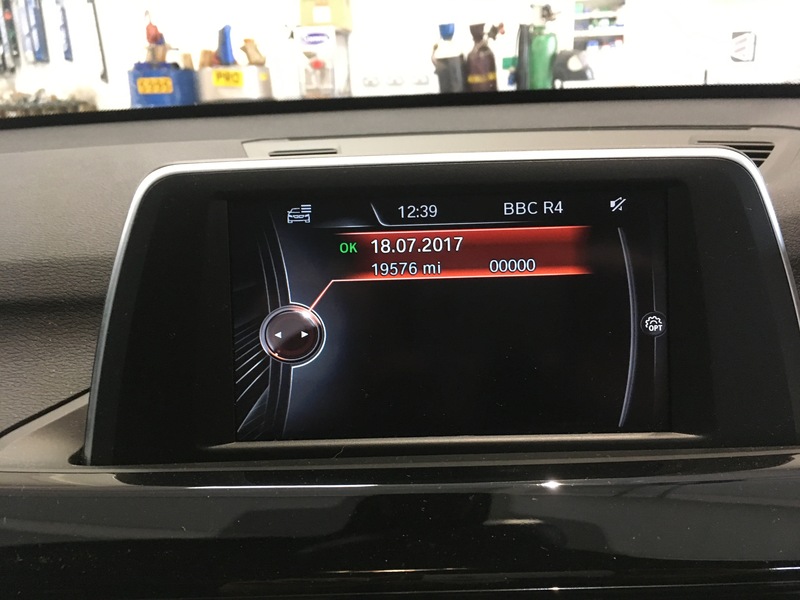 The latest generation of BMW’s also has an in car electronic service history (not to be confused with the Condition Based Service (C.B.S.) 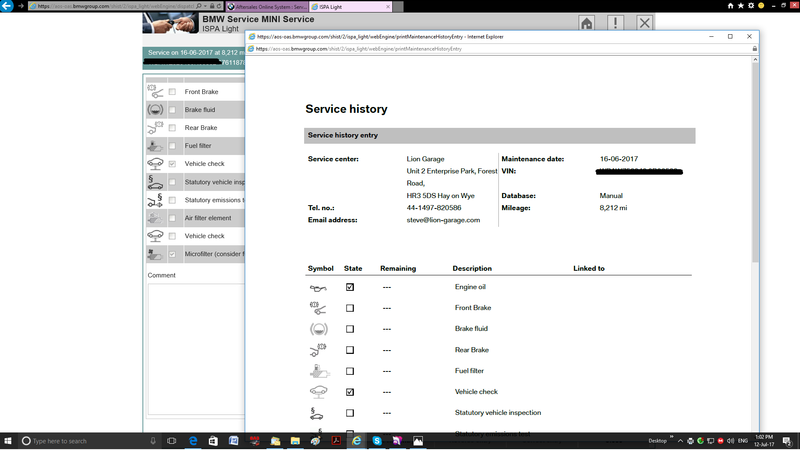 reminder system), in which case, we are also able to write the service information to the car using the same system as the dealer. 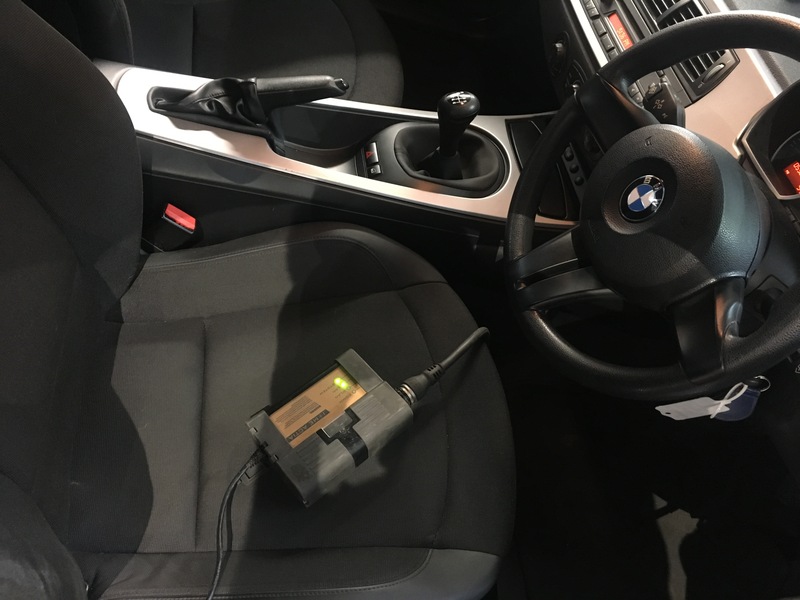 ICOM (The BMW diagnostic interface) ready to go. First service loaded in overview on car. 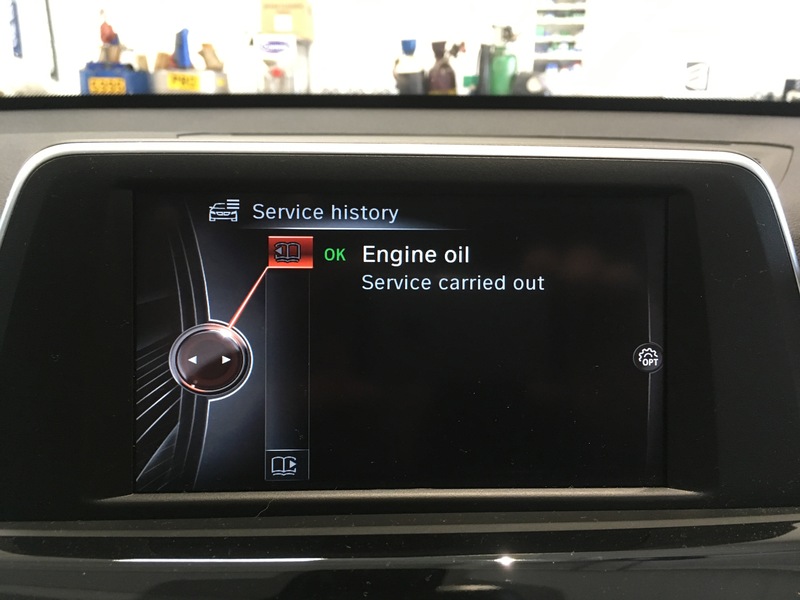 Lion Garage specialises in the Servicing, repair, maintenance and diagnostics of German brand Cars (BMW, Mercedes, Audi, Volkswagen, Skoda), We also invest heavily in training and manufacturers repair information. We pride ourselves on high quality workmanship and will only use genuine or equivalent high quality replacement parts. So if you’re looking for a high quality, value for money alternative to a dealership, your car will be in safe hands at Lion Garage. More information on your rights to choose and independent repairer to look after your car, can be found in the link below. European Commission rules on car block exemption came into full effect in October 2003. 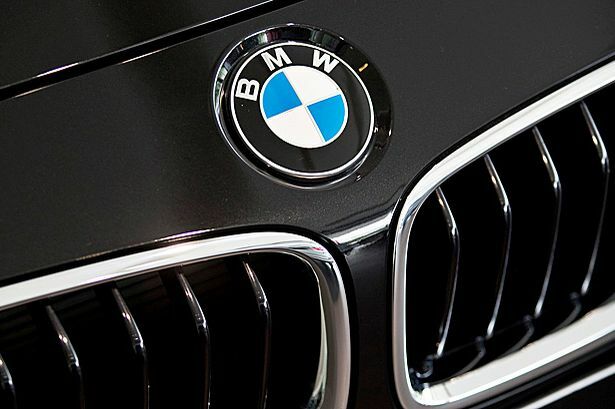 This new ruling allows independent garages the same access to technical information on your car from the manufacturer, and more importantly, it means you do not need to go back to a franchise dealer to retain warranty cover.